Lance Mckendrick was a normal kid with no superhuman powers. He runs a few scams to earn money, but he makes sure the people he scams always have enough money to get home. Lance never expected to be caught by Paragon, a superhero. Also, working at a diner, Abby de Luyando has recently discovered her superhuman strength and speed, but she’s trying to keep it a secret from her family. Abby hears that Max Dalton and his crew were captured so she sets off to help them. Across town Roz Dalton is on a mission with her older brother, Max Dalton, and their crew when they’re captured. Roz wakes up to see the whole crew terribly sick, except her. Last but not least, Thunder with powers of sound manipulation, is keeping his identity a secret for superhero purposes. Thunder was eating at the diner when he finds that Max Dalton and his crew are captive, so he teamed up with Abby to save them. All of these characters join together in Super Human to have an action-packed adventure. With characters like the sarcastic and witty Lance who brings humour even when he annoys everyone around him, Thunder that holds the mystery and kept me wondering who he really was, Roz Dalton as the skilled leader, and Abby who’s just trying to help. While Super Human is the fourth installment out of seven in The Quantum Prophecy series, this is the first book I’ve read in the series. 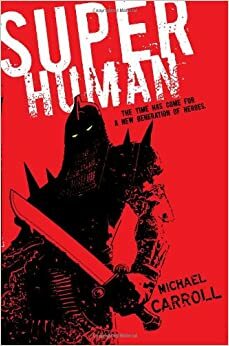 I’m looking forwards to reading the rest of the series since Super Human was such a great book. Watch out for unexpected turns in the rocky road of this book. Even though the author changes perspectives without warning and that gets confusing, within seconds I understood which perspective I was reading. I would recommend this book to anyone who enjoys adventure and a dash of drama.